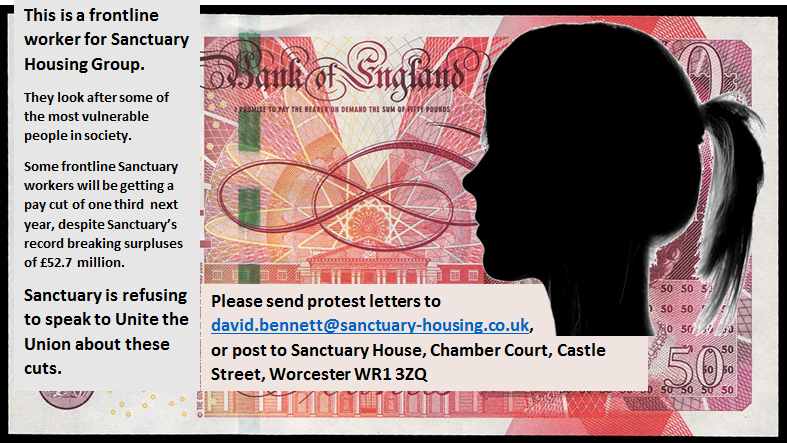 Unite Says: No Salary Slashing at Sanctuary! 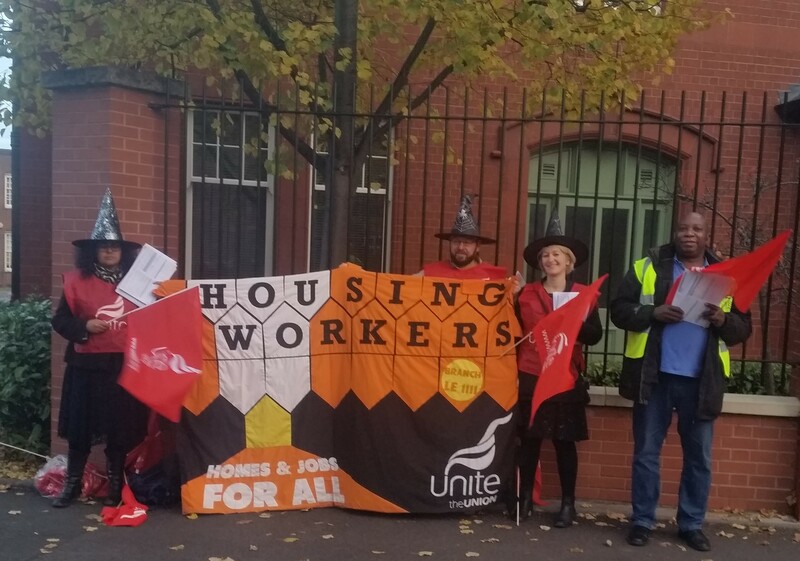 The Unite Housing Workers Branch got into the Halloween spirit, doling out money from cauldrons to get across the point that Sanctuary Housing Group (SHG) should not be cutting the salaries of it's frontline workers. Leaflet drops, recruitment drives, and discussions with the public took place across towns where Sanctuary has a presence, including Worcester, Manchester, and Liverpool. 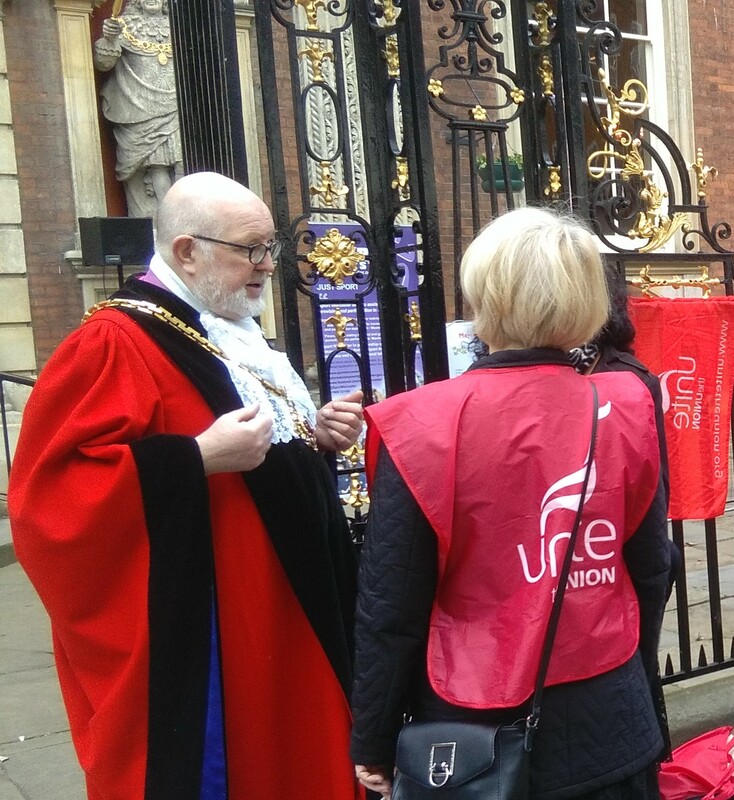 The Unite Housing Workers Branch was aided by local Unite activists including Unite Community, and the local Trades Council, as well as reps from Unite Riverside Branch. As part of an operational restructure, Sanctuary is threatening to cut the salaries of its Supported Living staff, in some cases by up to one third (c£8,000 pa), potentially forcing them to claim in-work benefits just to make ends meet - and meaning that an organisation with a surplus of over £50 million is being subsidised by the taxpayer. These staff provide support and assistance to some of the most vulnerable groups in our society - the elderly and those with mental health issues. Unite is arguing that recruiting and retaining high quality staff is essential for the effective performance of this vital service. Cutting their salaries to the market baseline is surely contrary to these aims, and will mean that even the most experienced and committed workers might be forced to consider alternative employment. The approach taken to the Supported Living workers contrasts that taken toward the salaries for the Sanctuary executive. Chief Executive David Bennett is one of the highest paid CEOs in the sector. 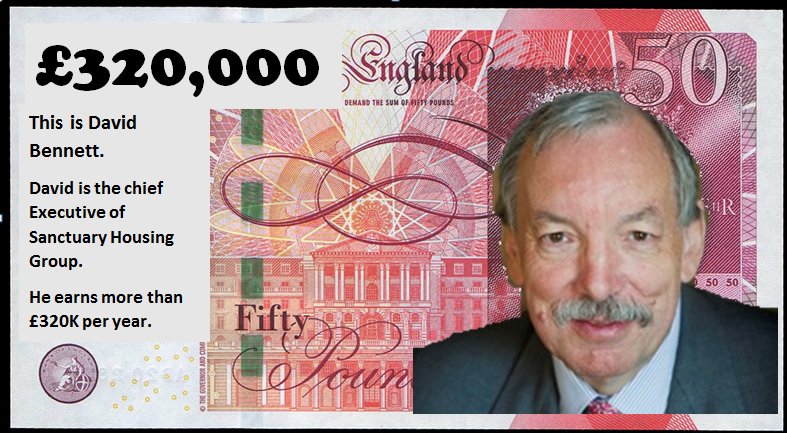 The Sanctuary board would doubtless claim that such salaries are necessary to attract the highest calibre candidates, but Unite insists that the same principle should apply to all roles across SHG. There remains no economic argument for these cuts. SHG has repeatedly posted record surpluses, and last year achieved a surplus of £52.7 million. This includes a surplus generated from the SSL service but instead of rewarding staff with a pay rise, they are facing a financial penalty. Unite is urging Sanctuary to think again. 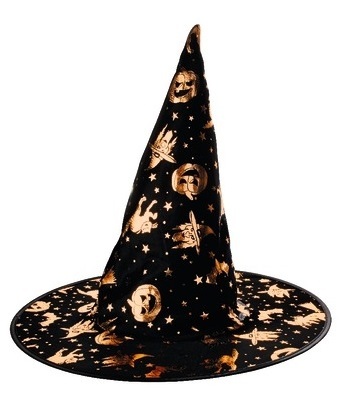 Their threat is set to disrupt the delivery of a service that many vulnerable people rely on, and its implementation is likely to cause considerable reputational damage to the organisation. 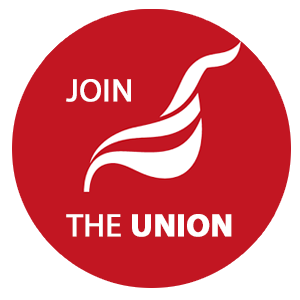 We have called on the Executive to reconsider, and to meet with Unite the Union to discuss union representation for any Sanctuary workers who wish it.